The Continuous Hinge, also known as a "Piano Hinge," provides uniform strength and smooth pivot action. 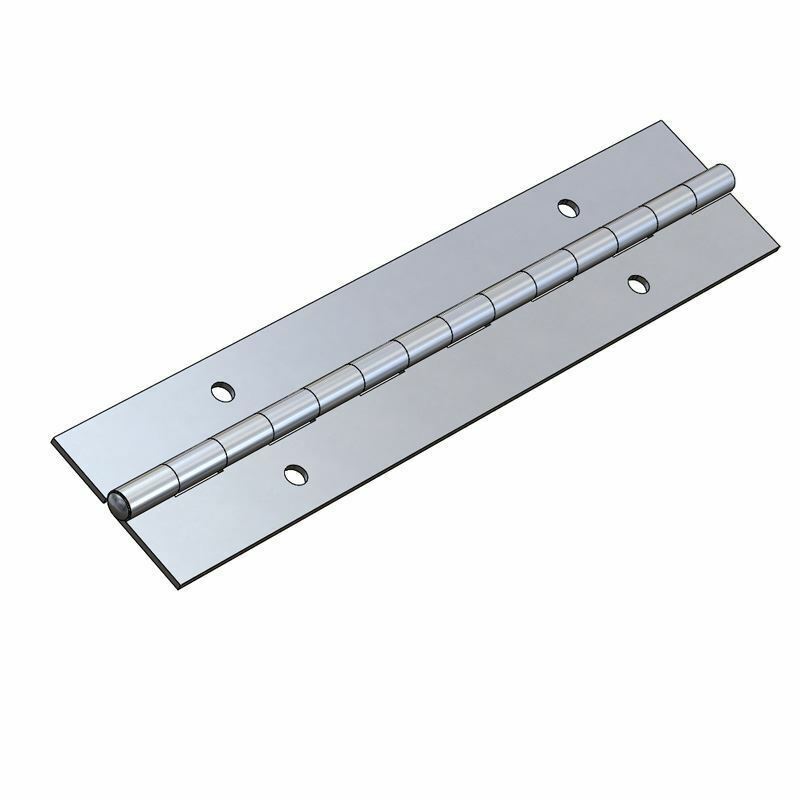 Its length and accurate alignment make for an easy installation. 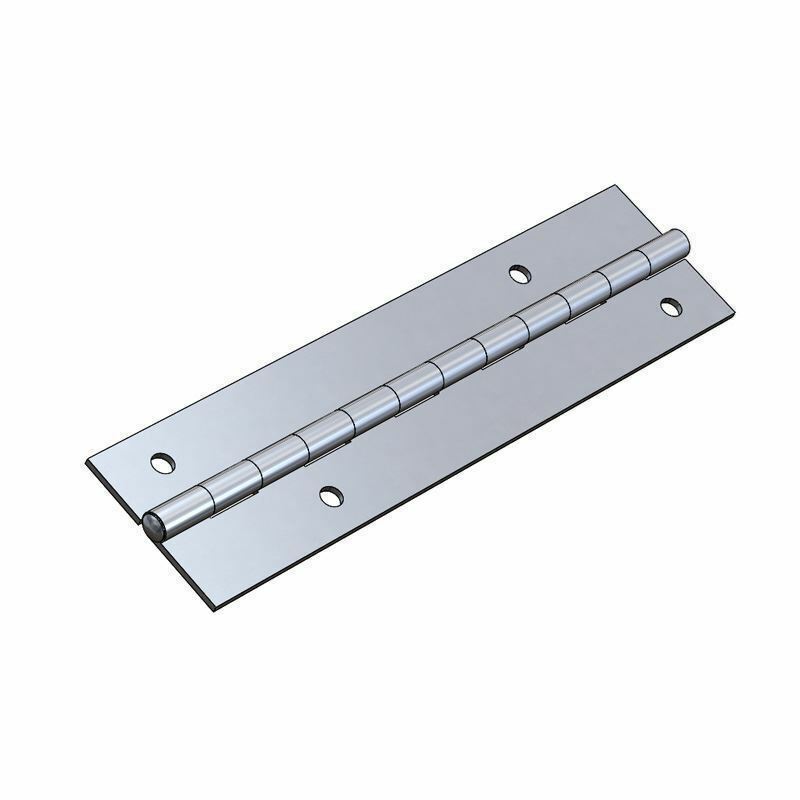 Our Continuous Hinges can easily be cut to exact lengths, depending on your needs, and are available in a variety of gauges, sizes and materials. We also offer variations in hole type and diameter, hole centers, staggering or in-line and end dimensions. If you don't see what you need here, contact our customer service team to for a custom order.